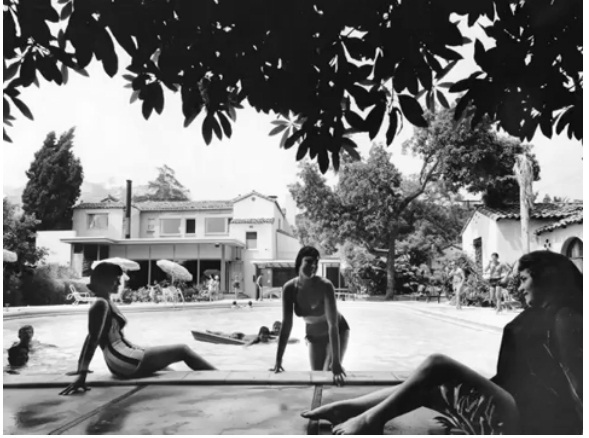 The Garden of Allah was once Hollywood’s most famous – or perhaps infamous – hotel during from the 1930s through the 1950s. Corrupt Los Angeles officials did nothing to prevent the hotel being destroyed. The brilliant Jack Nicholson in CHINATOWN. His face hacked by corrupt politicians in the classic film about evil and corrupt Los Angeles. Polanski’s plot in the 1974 film classic CHINATOWN, on its surface, is about political corruption, a Water Department (Watergate?) 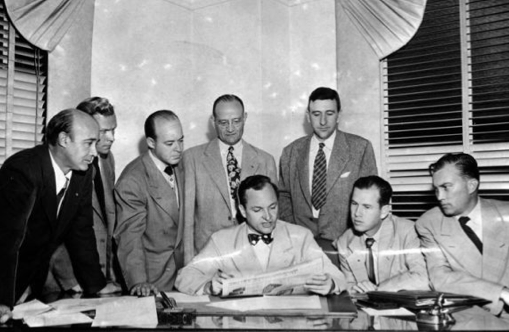 scandal in Los Angeles in the 1930s. But his real story concerns human corruption, so deep and extensive as to be terminal. And his message, for all its apparent topicality, is finally so pessimistic, really nihilistic, that although Polanski exposes the corruption of capitalism (the sexual as well as the financial), he does not offer even the wisp of a political alternative. THE TWO JAKES was the CHINATOWN sequel released in 1990 directed by Jack Nicholson. Jake Gittes investigates adultery and murder… and the money that comes from oil. Is it time for a movie sequel? CHINATOWN 3 or the SUNSET STRIP? THE PITCH… A Los Angeles Councilman, his chief of staff, and corrupt lobbyist attorneys ignore California and USA governments reports and help approve billion dollar developments built on earthquake faults all over Los Angeles. The FBI have started a stink operation within the corrupt L.A. City Hall. A major earthquake happens. Thousands dead and billions of dollars lost. The “City of the Angels” turns into Bell, California meets Enron meets Big Rock Mesa in Malibu! During the third act we see federal convictions for extortion, bribery, conflicts of interest and election crimes…they involve everyone… from the mayor to major attorney lobbyists to a building inspectors. Los Angeles declares bankruptcy and replaces Chicago as the most corrupt city in the USA and becomes a ruinous eyesore like Detroit. Who do you root for? The citizens of Los Angeles. Who are the villains? Politicians and corrupt attorney lobbyists. Box Office results? Major hit because America hates greedy politicians, lobbyists and doesn’t trust the government. Could CHINATOWN 3 be based on a true story? (Left ) Yesterday – Poster for the classic film Chinatown starring Jack Nicholson and Faye Dunaway; (Right) Today – Congresswoman Janice Hahn, former member of the Los Angeles City Council, and current Councilman Tom LaBonge in a recent parade in Chinatown. The 8150 Sunset development is in LaBonge’s district 4. Carolyn Ramsay, his Chief of Staff, is ignoring all calls from his constituents over the apartment project and a refusal to control traffic along with paving roads in the area. Lewis is a great American and a man who knows corruption when he sees it. “The City of the Angeles” is so blessed to have him serving Southern California interests. Can Mr. Lewis organize a new FBI “gangster squad” to clean up dirty politics in Los Angeles and West Hollywood? Los Angeles seems the perfect place to investigate. According to Steve Lopez at the L.A. Times, Los Angeles is the second most corrupt city in the USA. How corrupt is West Hollywood? IS PAUL HASTINGS, A DOWNTOWN LOS ANGELES LAW FIRM, RUNNING THE CITY OF WEST HOLLYWOOD POLITICAL MACHINE? Hasting’s clients Townscape partners are developing 8899 Beverly Blvd and 8150 Sunset Blvd. The Los Angeles and West Hollywood city attorneys seem to have no problem with this. (From Left to Right): West Hollywood (WEHO) Councilman John Duran (was under investigation for two years by the LA District Attorney for abuse of city credit cards and possible indictment);WEHO City Attorney Michael Jenkins who seems to play the Paul Hastings game; WEHO Councilman Jeffrey Prang (Former special assistant to John Noquez, Los Angeles County Assessor, who is pending Federal prosecution for 30 felony counts of major corruption charges). (Left: Jayne KIm, State Bar of California, Chief Trial Counsel) The developers of 8150 Sunset Blvd. (in Los Angeles) and 8899 Beverly Blvd. (in West Hollywood) employ Paul Hastings as lawyers. Does Jenkins think there could be a conflict of interest regarding Hastings when it comes to the best interests of the citizens of West Hollywood? Is there a conflict of interest? Is Duran, an attorney, advising Jenkins? 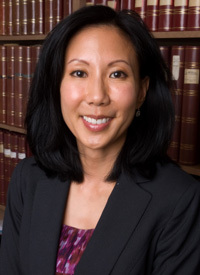 Is it time for Jayne Kim (State Bar of California, Chief Trial Counsel) to join Mr. Lewis at the FBI and look into all of this? West Hollywood City Council has a history of of Federal convictions for fraud. Valerie Terrigno, West Hollywood’s first mayor, was convicted of 12 counts of embezzling thousands of dollars in 1986 from Crossroads Counseling, an agency for the poor, when she was executive director of the agency from 1982 to 1984. Ms. Terrigno’s attorney, Howard Weitzman (O.J. Simspon), told jurors in closing arguments of the four-day trial that his client was being singled out because she was a lesbian. But jurors said her homosexuality was never an issue in their deliberations. Terrigno was just a corrupt politician and a common thief. Federal District Judge Laughlin Waters sentenced Ms. Terrigno to prison. 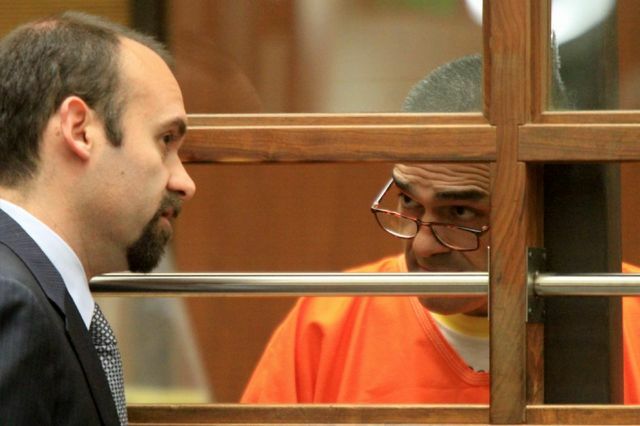 John Noguez, former Los Angeles County Assessor, in jail house orange talking to his attorney about setting bail and getting out of jail. Noguez is charged with 30 felony counts, including accepting bribes, perjury and misappropriation of public funds. 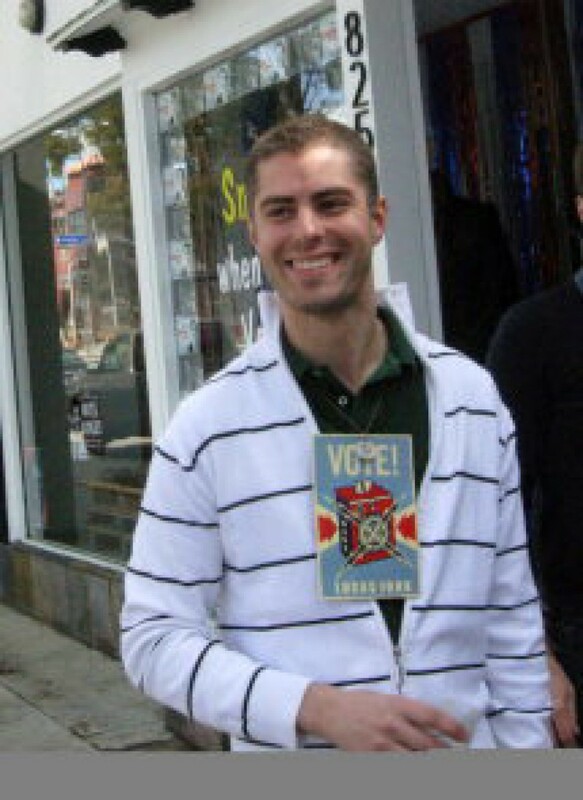 Jeffrey Prang, West Hollywood City Councilman, was a special assistant to the government official. Noquez allegedly abused his office by trading bribes for lowering property tax bills. Prang states he is a long-time “political friend” of the government official now out on bond and awaiting trial for corruption charges. Prang was also worked in Pico Rivera where officials were investigated for sleaze and more corruption charges. The University of Illinois, Patt Morrison and Steve Lopez (LA Times) consider Los Angeles the second most corrupt city in the USA. 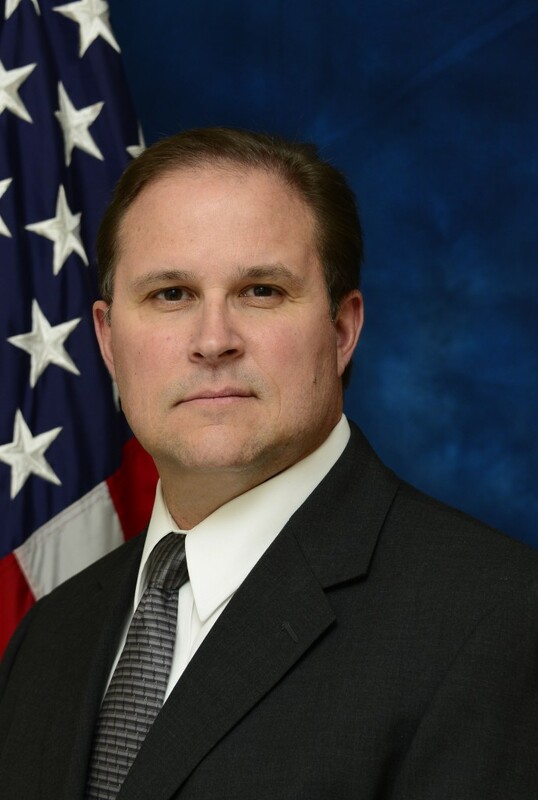 The Department of Building and Safety has been a major target for the FBI including indictments and criminal convictions. Remember the bribes and pay-offs in the film classic Chinatown? Los Angeles and West Hollywood historical buildings in the immediate area of the 8150 Sunset skyscraper apartment complex designed by a San Francisco architect. Last week’s deadly fire on Wilshire Blvd. in Los Angeles. 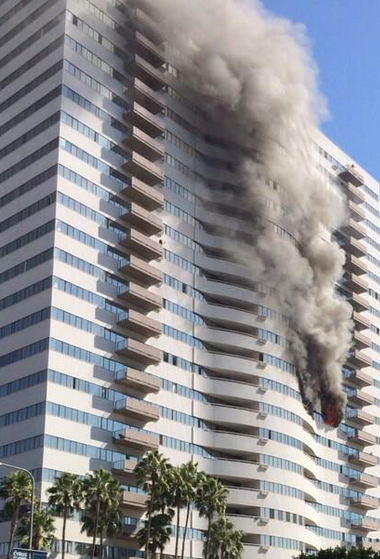 The corrupt City of Los Angeles failed to have sprinklers installed in high-rise apartment buildings. A small baby is in intensive care because of corrupt Los Aneles politicians. This proves how dangerous skyscrapers can be besides earthquakes. Do the residents of Los Angeles and West Hollywood want this happening at Sunset and Crescent Heights? (Left to Right: Teddy Davis, Tara Bannister, Carolyn Ramsey, Joan Pelico, Steve Veres) These are the bit players in “Chinatown 2”. The five announced candidates running for Councilman Tom LaBonge’s District 4 seat in LALALAND. They hope to become elected officials in what the LA Times is calling the second most corrupt city in the USA. What is their position on taking money from developers building high-rise skyscraper apartment projects on major earthquake faults? Ms. Ramsey and Councilman have done nothing about a putting in a northbound left hand signal at Crescent Heights and Sunset. Is their negligence about a recent death at the intersection. The iconic mid-century LYTTON CENTER will be destroyed to make way for a skyscraper apartment project. Hundreds of resident are joining together to oppose this. Young, old, minorities, celebrities and citizens who believe in American exceptionalism, recently cheered by President Obama, don’t want transient high-rise apartments at the gateway to Sunset. These voters feel LYTTON CENTER should be turned into a mid-century architectural museum and the shopping center into a park. Including a special section for children and a special section for walking their dogs. Excellent historic video on the Garden of Allah… does Los Angeles want a skyscraper apartment project as a monument to a great era? Urban legend has it that folk music legend and “lady of the canyon” Joni Mitchell penned her 1970 song “Big Yellow Taxi,”–an eerily cheerful lament about green space turning into concrete businesses–about something in Los Angeles that wasn’t there anymore: The Garden of Allah. The accuracy of the urban legend aside, Mitchell did land on one truism never more true than in a city like Los Angeles: We don’t know what we’ve got ’til it’s gone. Francis X. Bushman, the famous silent film star at the closing party for the Garden of Allah. 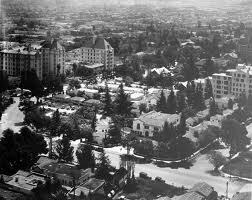 (Left: full view of hotel along with Crescent Heights and Sunset Blvd.) A kind of paradise used to be at the corner of Sunset Boulevard and Crescent Heights. Built when Hollywood was young and in need of a playground, the Garden of Allah was a home, or a home-away-from-home for stars of the silver screen, the literary world, and the upper crust. For sometime, this was the largest swimming pool in town. It was built to remind Nazimova her home in Yalta. Paramount Studios had bestowed Nazimova with the home and grounds when the star was at her apex so that she could enjoy a glamorous retreat in the burgeoning Hollywood community. 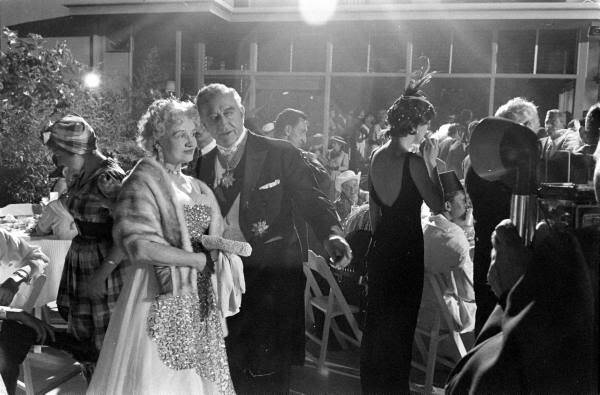 A 1959 LA Times article discusses those early years: To garnish the gift, [Nazimova] built Hollywood’s largest swimming pool—65 x 45 ft.—and had it shaped like the Black Sea of her girlhood. The pool hung like a dewy sapphire around the heart of her garden. The last wild party at The Garden Of Allah… click on photo for full view…. 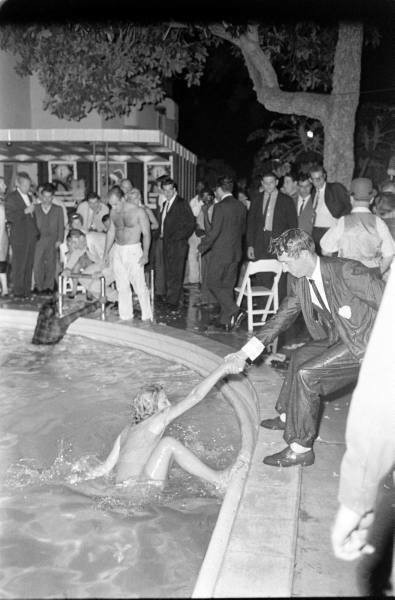 (Guests in the pool…) In 1959, the Garden of Allah came to its official end. Francis X. Bushman, onetime resident, appeared at the closing party, but of course, nothing was the same. The party was wild with guests thrown in the pool. Eager souvenir hounds gathered at an auction that sold off the furnishings and other items from the property. They were clearing out to make way for the greatest destroyer of romantic notions: The wrecking ball. Lytton Savings and Loan had bought the property, and had plans to turn the corner of Sunset and Crescent Heights into a business center, anchored by a bank and a tower. 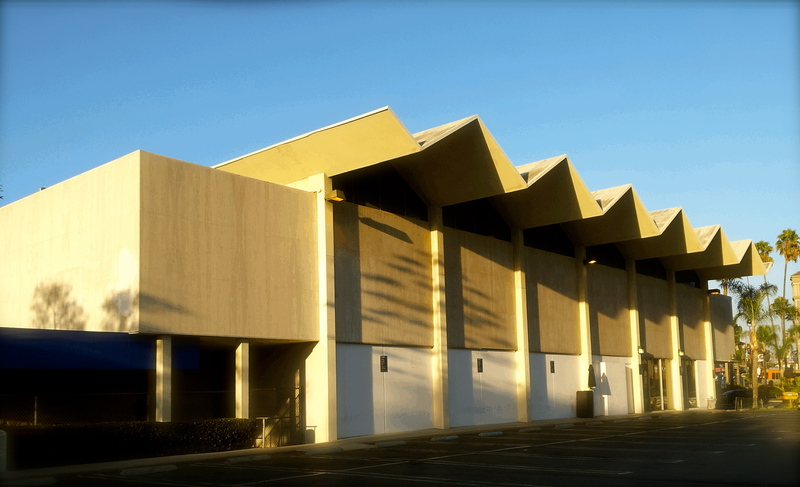 The $5 million Lytton Center was iconic (mid-century) architecture of the 50s and early 60s in Los Angeles in terms of business and architecture. And there is nothing lovelier than a parking lot, now is there? Perhaps this is why Mitchell mourned the paving of paradise in favor of a parking lot–here, or, anywhere else for that matter. As anyone who rounds that corner knows, Sunset and Crescent Heights where the Garden of Allah once stood, boasts a strip mall, and a bank branch (very, very, very recently re-christened as Chase, after many previous incarnations). There’s nothing there to suggest anything else ever was, which up until 2007, wasn’t the case. There used to be a model of the hotel on display outside beneath a glass bubble, which eventually moved inside the bank, and then…disappeared. But it has turned up. Check out this wonderful story at WEHOville by clicking here.